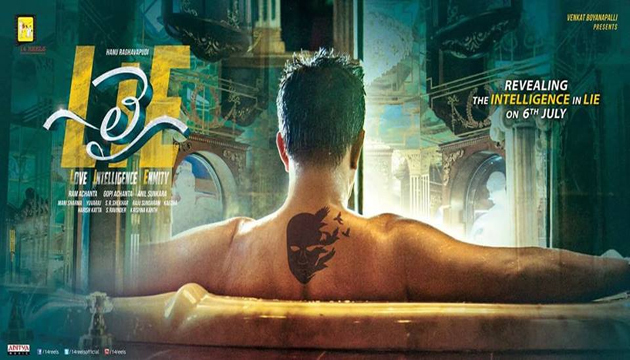 Young director Hanu Raghavapudi attracted the attention of the Telugu audience with a unique title 'LIE' for the film Nithiin. He has already revealed that the abbreviation of LIE was L-Love .. I- Intelligence .. E-Enemy. They have already introduced love by revealing the look of the heroine Megha Akash. He got a good answer. Now they have announced they are introducing information. This is the introduction of Arjun, a high-level hero, who plays a crucial role in the film. They launched the pre-gaze of Arjun who relaxes in a tub, he was shown by the back. The filmmakers say they will publish the first look of Arjun Thursday. Everyone thought that Arjun is the villain in this movie ... and he is an enemy in Nithiin. As they show Arjun as Intelligence, there must be another villain in the film. Arjun might not play a negative role. This update further increased the public's curiosity. LIE is programmed to be broadcast on Augutst 11.